What Team Owns Social Media? Ever wonder what team owns social media? All the time right? Forbes recently came to us asking this very question and well, we had the answer. 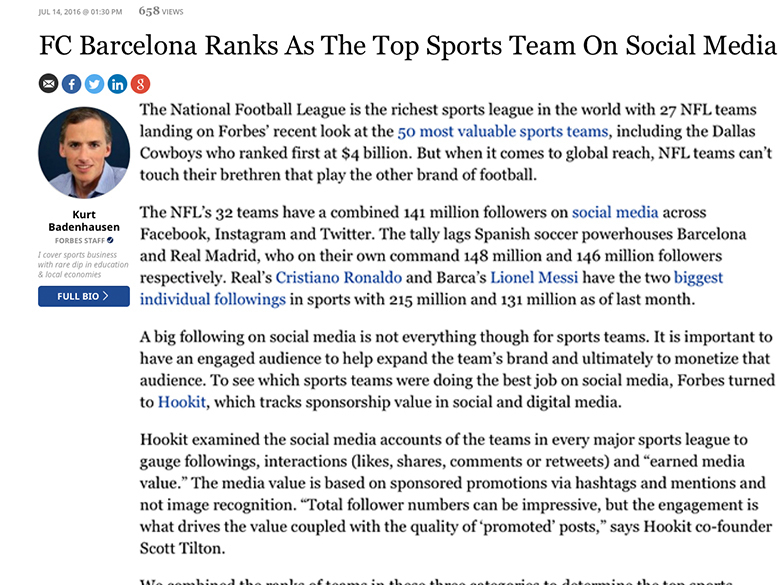 Not only did we know who the top team was we ranked the top 20 dominating teams on social media. Head over to Forbes and get the whole story and see how the rankings were determined.